Pro wash is a family owned and operated business based in North West Auckland. Our company has been growing over the past five years and now serves all of Auckland providing exterior cleaning to both residential and commercial customers. With potential clients calling and enquiring at all hours day and night, the team at 0800 Pro Wash came to us seeking an online quoting solution that would be a simple and easy for customers to use. We developed a customised online calculator based on their current pricing structure and integrated into our CMS mail system, this means the client can get an instant and comprenhisive quote that can be booked online without the need of picking up the phone. 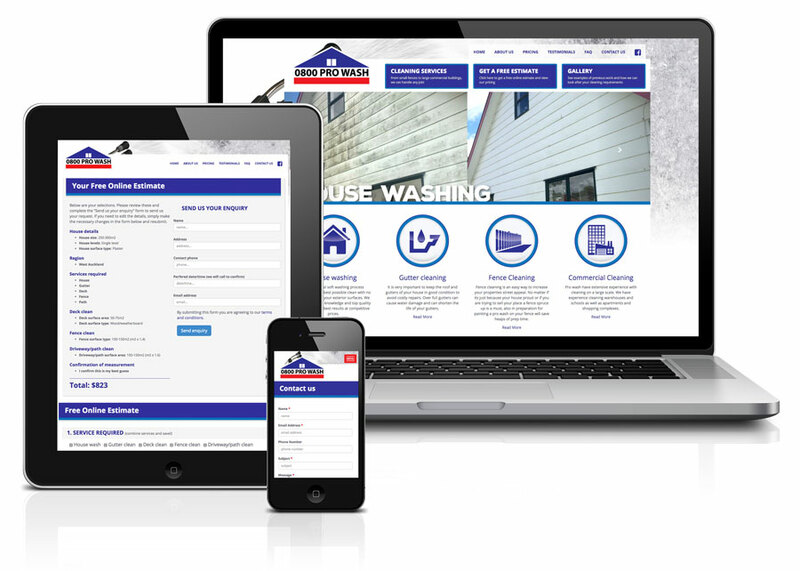 We also designed and built their new fully responsive site on the back of new branding we have also developed.